Back to school season sales in the months of July and August are expected to top $857 billion this year, according to eMarketer. That’s almost a fifth of total retail sales for the year, representing an incredible opportunity for small businesses. Offering back to school promotions are the main way to reap the benefits of the season, but it doesn’t stop there. Now’s the time to review every part of your business, from financing to hiring to accounting, to make sure you’re ready for the surge in sales. In this article, we’ll tell you how to best prepare every part of your business for back to school, with special tips for real estate agents and ecommerce businesses, so you don’t miss a moment of this profitable season. Holidays and seasonal events drive significant foot traffic to business establishments. One marketing opportunity that you don’t want to miss out on is the back-to-school season. Did you know that around 17.2% of the entire year’s retail sales happen during this season? That’s approximately $828 billion dollars per year making it the second biggest retail season in the US. Below, we’ll share some tips on how you can take advantage of consumers’ spending power during this time of the year. Additionally, remember to not only target parents and children – include teachers and other school employees as well. Keep students and teachers coming back to your establishment by giving special discounts and freebies before classes start in the morning and after they finish in the afternoon. Keep these going during the first month of the school year. As a special treat, you can give them free coffee for breakfast or discounts on drinks or a slice of cake in the afternoon. Get them to try different products by changing up your freebies on a regular basis – they might be able to try something that they’ll end up liking but have never thought of buying before. While these offers are small and simple, it makes a big difference to students who are trying to make the most out of their daily limited allowances. Furthermore, getting them to come back to your store on a regular basis during the first month will create a sense of familiarity with your establishment and hopefully get them hooked on your products. This will keep them coming back for the rest of the school year, even after you stop offering discounts. While having a loyalty program requires a small investment on your end, it’ll pay off in the long run as you’ll be able to build a strong customer base that will keep coming back to your store. While most back-to-school purchases usually happen in-store, about one third of back-to-school shopping is done virtually, making online marketing important in attracting business leads and generating revenue. Market your promos through eye-catching visuals and photos on your social media pages, such as Facebook and Instagram. Update your website homepage to display any visuals about your back-to-school promos. Have a good CRM software in place to capture business leads. The back-to-school season often drives heavier than usual traffic to your website, and a CRM helps keeps things organized. Use targeted lead magnet tools such as pop-ups, newsletter sign-ups, and contact forms on your website. Back-to-school shopping is a great opportunity for independent retailers to connect with customers and reap the profits. In late July, busy parents juggling end-of-summer activities are suddenly faced with a new list of priorities and a looming deadline: the first day of school. Clothing, supplies, and class lists drive them into stores in droves, so why not yours? Try these back-to-school store prep tips to bring them in, fill their needs, and keep them coming back year-round. In mid to late summer, you need to get the word out to customers about your featured back to school items, promotions, and specials. If you don’t yet have an online marketing strategy to do this, now’s the time to set one up. Email is a sure winner, so start there. If you’re new to email marketing, use the back to school rush to build your email list. Next, hit social media. It’s easy and free, plus it lets your customers help spread the word. If you’re not on Facebook yet, start a Facebook business page and post your back to school specials. Does your store look snazzy with all of your new displays? Show it off on Instagram or Pinterest. Remember, marketing success doesn’t happen overnight, but it never happens if you don’t start. Get accurate school supply, athletic gear, and uniform lists from your area school districts and make your stock purchases accordingly. Nothing is more frustrating for parents or store owners than having to handle returns because something didn’t match a school requirement. So, stick to the list to keep your products sold. Don’t be afraid to stock up on basics and other fast-moving essentials when purchasing back to school stock. But be wary of splurging on specialty or seasonal goods. Once the school rush is over, it can be hard to move things like locker decor and unicorn-emblazoned binders. Keep the fancy add-ons to a minimum and if you notice them dragging during the rush, display them by your checkout with deep back to school discounts to move them out fast. Turn your power walls and other prime in-store real estate into back to school blowout displays that lure your customers in and entice them to buy. Learn how to maximize these key selling spots in our retail store layout article, then put these tried-and-true methods to work. Use must-buy essentials like uniforms and school apparel to draw buyers in, allow ample space for movement on busy days, and keep your impulse-buy areas well stocked with inexpensive add-ons. If you don’t have a website for your store you’re not reaching half of the back to school shoppers in your area. Last year, according to MobileShopTalk, 57% of back to school shoppers reported using their mobile phone to search for items and compare prices, even when purchasing in-store. If you’re not online, you’re missing out on a lot of potential in-store buyers. There are plenty of simple online store platforms you can use. 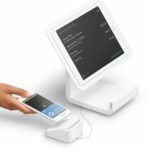 Or, if you happen to use Square to process credit cards or as your point-of-sale (POS), you can easily add their free online store, which is mobile-friendly. With it, you can even take orders for in-store pickup. And if you don’t have a retail POS system yet, you should check out all that Square offers to help make this year’s back to school rush a selling success. 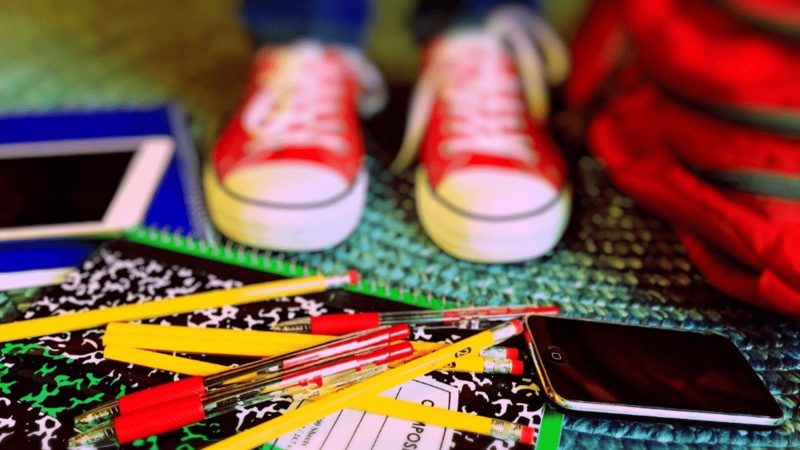 Back-to-school shopping is a great selling opportunity for ecommerce businesses. One third of back to school purchases in 2016 were made online, according to a survey by Deloitte. Apparel, accessories, school supplies, and dorm essentials all top parents’ shopping lists starting mid-July, and the nationwide selling frenzy extends well into early September. Here are several tips to help your online store compete against giants like Amazon. Last year, 32% of online back to school purchases occurred on mobile devices,according to MobileShopTalk, and that number is expected to yet increase in 2017. In addition, 57% of parents reported using their smartphones to shop and compare prices even if they ultimately purchased in-store. That’s more than half of back to school shoppers using mobile sites to shop and/or buy, folks! Without a mobile-friendly store, more than half of overall shoppers don’t even know you exist. Worse, you’re losing out on nearly a third of online back to school sales. If your site isn’t fully mobile, it’s time to up your game. Luckily several top ecommerce platforms and WordPress shopping carts make it easy to make your store mobile friendly. Like it or not, shoppers nowadays expect free shipping and sellers who offer it see higher sales and fewer dropped carts. If you don’t already, at least try to offer it at a certain purchase level, say $25. This encourages buyers to increase small orders to receive free shipping and lets you market Free Shipping in your back to school promotions. And as you prepare for the back to school rush, be sure that you’re getting the best rates on every shipment by using shipping rate comparison software. Cater to hurried and harried parents during the back to school rush. Create back to school specific landing pages on your site to highlight back to school features, specials, and discounts. Also, try adding special back to school categories to your store menu to help buyers quickly navigate and shop. Add prominent links to these special sections from your homepage and blog, and include them in email and social media marketing. Many states have sales tax holidays during the back to school shopping season. Maximize your sales on these busy shopping days by making it easy for shoppers to find tax-free goods. Do this by tagging eligible items or by creating a sales tax holiday category to list tax-free products. If you collect taxes in participating states, be sure to understand state tax collection rules and adjust the tax collection function in your cart for each state accordingly. Don’t let shoppers walk away from their online cart without a fight! Implement in-cart coupon popups to encourage shoppers to complete their sale without leaving. And if they do? Use dropped cart popups with even more savings or another incentive, like a free gift, to entice wavering buyers to complete their purchase. Experienced realtors often know to expect a big surge in sales and profits during the spring and early summer, followed by a slump. This is because most families who are moving try to purchase their new home by spring or early summer so that they have a couple months to settle in before the start of the school year. Although that might seem like the perfect time to take a vacation, resist the urge. Putting your head down and pushing that oh so calming vacation back to December can have an amazing ROI. Here are 7 hard won tips for making the most of back to school season from my own career and dozens of top agents I’ve had the pleasure of interviewing. Back to school season is a great time to remind your sphere that you’re a local expert. Reach out to your sphere and educate them on changes in your local school district, upcoming events, or how your local market has changed year over year. What are your predictions for the upcoming season? Is it going to be a buyer’s market or a seller’s market? In order to nurture your sphere well enough to build a steady stream of referrals you’re going to need a great CRM to keep you on target. After reviewing dozens of real estate CRM’s, we chose Contactually as the best option for relationship marketing and referrals. To find out why, check out our shoot out between Contactually, Top Producer and REthink CRM here. Since the market will start to slow down in October, anticipating the change and tweaking your lead generation strategy now will offer a great return. What’s working? What isn’t? What kind of ROI are you getting for all your online and offline lead generation? Remember, in the fall and winter, you’re going to have to work harder and smarter to fill your sales funnel with qualified leads. While many top producing agents had little time for cold leads when the market was at its height in the summer, they’re going to start to go after those leads once the market slows. That means you’re not only going to have more competition for leads in the winter, but more talented competition to boot! If you’re looking for some creative ideas to try out this fall, check out our Top Lead Generation Ideas From the Pros article here. If you’ve been avoiding Zillow like the 300 lb gorilla in the room, you need to check out the amazing new lead generation opportunities they’re offering for 2017. Facebook ads, seller leads, new pricing plans, and a brand new website are only the tip of the iceberg. Learn more here. If you’re already using Zillow and want to increase your ROI, check out our free 5 part course How to Crush it on Zillow in 2017. The dog days of summer are also a great time to audit your online presence and any software or apps you rely on to generate, nurture, or close leads. How’s your website doing? Are you getting enough traffic and conversions to justify the time and expense? If not, you need to read up on SEO techniques to make sure you’re appearing at the top of the search results on Google and other search engines. If you need SEO advice, we worked with Single Grain, Moz, SEMrush and others to write the definitive guide on real estate SEO. How about social media? What could you be doing better to get more page views, likes, and leads from your local farm area? Finally, what kind of ROI are you getting from your paid software and apps? Now is the time to investigate better, cheaper solutions so you can get up to speed on them by the time the market slows in October. Check out our list of the top real estate software tools. 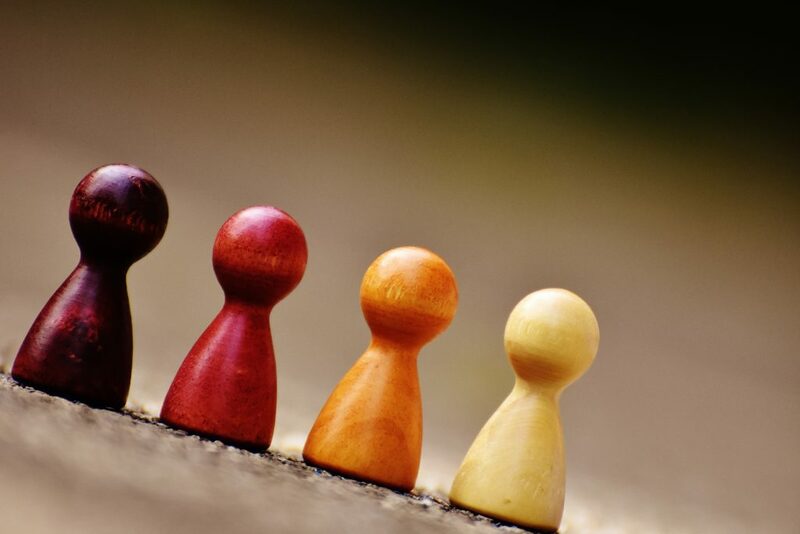 Since you’re going to have more competition for leads when the market slows, taking time to enhance your skills with a new designation can help you stand out from the crowd. GRI, EPro, and SFR realtor designations can all be completed in a few weeks, and might give you the edge you need to land that new listing or buyer. To learn more about the different designations available for Realtors, check out our guide on Realtor Designations here. 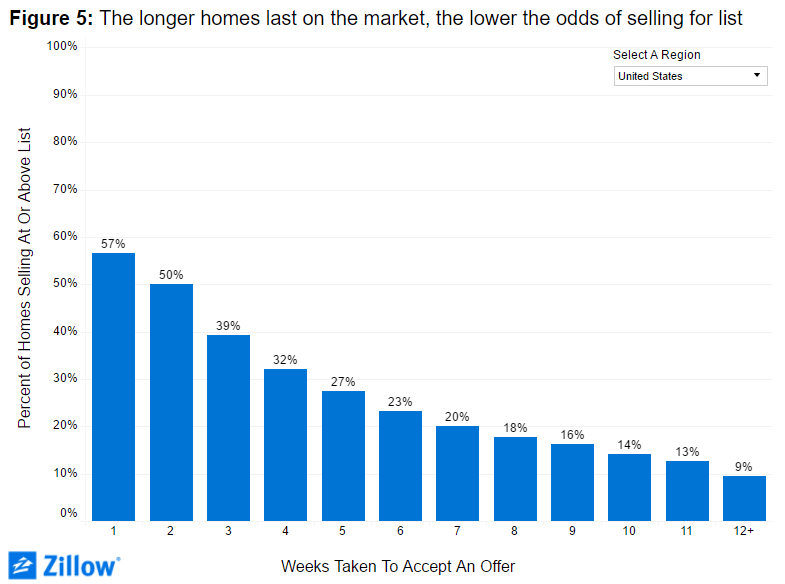 According to a recent study from Zillow’s research division, there are more discounted homes on the market in late summer than at any other time during the year. Although your coworkers have likely been saying this for years, it’s nice to finally have some data from a nationally recognized real estate brand to help validate their claims. Let’s face it, we all need to start somewhere. Inevitably this means that you’re going to have to rely on the wisdom and kindness of coworkers and colleagues when you’re cutting your teeth as an agent. Since the world of real estate turns on relationships, taking time to show them they’re appreciated can only help build your reputation and your career. Plus, it’s just a nice thing to do. Did an associate broker in your office help you through a difficult deal this summer? Did working an open house for a coworker help build your client base and increase your bottom line? Invite them out for lunch or drinks on you to show them you appreciate the help. If you want to be prepared for the market slow down in late summer and fall, you need to start planning and developing strategies for success now. Proving you’re a hyperlocal expert, auditing your lead generation, online presence, software and apps, and reminding your remaining buyers of the opportunities in the late summer market will pay off handsomely come fall. Finally, cultivating gratitude will not only help you build key relationships with your coworkers and colleagues, but also help you enjoy life more as well. A win/win in my book. Back to school season is a big deal not just for families, but also for small businesses. Families spend a lot of money on back to school supplies and gear, and businesses need to spend cash on seasonal marketing and promotions. By making sure your business financially prepared for the expenditures of the season, you can serve your customers well and set yourself up for success during the rest of the year. If you’re like most small businesses there will be very little downtime between Back to School season and the Holiday season. That makes fall the perfect time to give your business a financial check up. Check your personal and business credit score. You never know when an opportunity will arise that requires a little borrowing. You don’t want to find out too late that your credit score isn’t it’s best. Learn how to check your credit score for free here, and read our ultimate guide to business credit reports. Revisit your business plan. Make sure that you’ve set clear goals for the upcoming seasons and that you’re on target to hit those goals. Business plans might feel like tools that are only for startups, but they are a great way ensure your business remains focused on the most important issues. And checking in on the results will help keep you honest. Look at last year’s back to school season to determine what your staffing and inventory needs maybe this year. Will you need to increase the amount or variety of inventory on hand? If so, will you need to finance the inventory purchases? What about staffing? Will you have the cash to cover an increase in staff, or is payroll funding something you’d be willing to consider? Seasonal businesses preparing for a good back to school season may find themselves needing a short term cash infusion to pay for increased marketing or inventory. Many credit cards, business line of credits, and alternative loans can have be a great way to finance business investments that have quick, high ROI. Their online applications only take a few minutes so your attention won’t be taken away from your business as you prep for your busy season. Check your credit score to see if you qualify for the financing you want, before you apply. Many loan providers will look at both your business credit and the personal credit of all business owners (who own 20%+). Revisit your business plan and make sure you’re on target to hit your goals. Many lenders will want to see a business plan, and showing them how you’ve hit your numbers or have adapted with the market successfully will really help your chances at getting funded. Look at last year’s back to school season to determine what your needs may be for this year. The past is a good indication of what you can expect for the same seasonal increases. This can help you identify and provide proof of expected numbers to your loan provider. It helps you prepare better, and increases your funding chances. Prepare the required documentation you’ll need in advance of applying. This will vary by the type of financing you’re seeking but could include: Bank statements, personal and business tax returns, your business plan, current P&L statement, and much more if you’re applying for traditional financing like an SBA loan. During back to school, parents may want to spend more money at your store, but that doesn’t change their bank account balance. If the money’s not there, they can’t spend it. 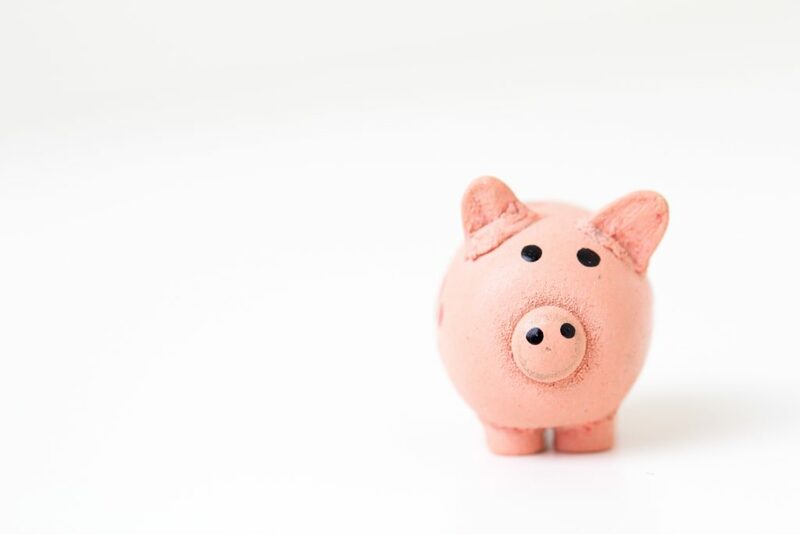 Offering customer financing can increase the number of visitors that convert into customers, and it can increase the average purchase amount per customer. 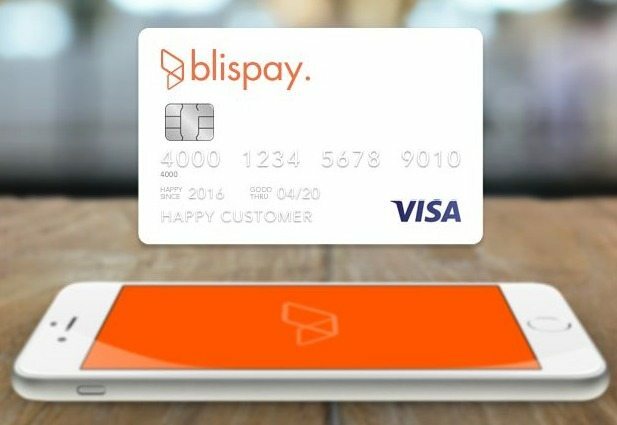 With Blispay, you can offer customer financing in your store as long as you have the ability to accept Visa payments, and it won’t cost you anything. You can get setup with Blispay in as little as 1 day, and qualified customers can be approved for up to $10,000 of financing that they can use in-store or online. Because back-to-school is the second busiest shopping season of the year, right behind the winter holidays, it’s an important time for the small business HR department to make sure it’s well prepared and able to pull its weight. HR tasks include increases in staffing, making sure help resources are available for employees, and ensuring the entire staff stays motivated during the crush. Here’s a checklist of things you should complete to prepare. Our new hire checklist covers all of these steps and more. Based on your review of last year and sales forecasts for this season, estimate how many additional staff members you’ll need in areas like sales, production, fulfillment, customer service, etc. Factor in how much overtime existing employees will do before hiring new people. Armed with staffing needs, you’ll need to ramp your recruiting efforts. Keep the following channels in mind when thinking about seasonal temp staffing: students, seniors, stay-at-home parents, and staffing agencies. You should also review your employee referral program and the hiring process to make sure they are the most effective they can be. Hire a recruiter to help you out if necessary. For help with recruiting candidates and keeping them organized, consider investing in an Applicant Tracking System. So you’ve done a great job hiring and preparing your staff, and now it’s crunch time. HR needs to make sure folks stay motivated during the back-to-school season. Games and contests can be useful motivators, especially if they include gifts or cash incentives. Another useful motivator can just be recognition for a job well done. It’s also motivating for employees that a company cares, so communicate everything you’re doing to prepare for the busy season. This could include recognition of past issues and what steps you are taking to prevent them this year. Most important, stay positive, and remember to thank your staff for their hard work! 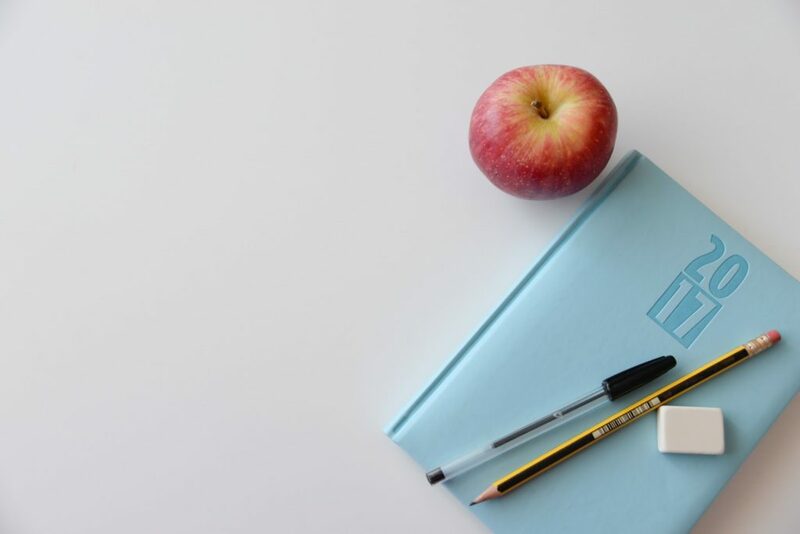 Back to school season can be a great time for you to tackle some of those items that have become permanent items on your to do list for your business. This could include finally switching from those Excel spreadsheets to an accounting software like QuickBooks. You can also prepare your retail store for a sales tax holiday where you offer customers a reduced rate on sales tax for back to school items. Finally, consider going back to school yourself and taking a class to learn how to market your business. The cost is tax deductible! Many states designate sales tax holidays during the back to school season that range from 1 day to as long as 1 week. During these “holidays”, you may pay a reduced sales tax or no sales tax altogether on back to school gear. This can include but is not limited to office supplies, clothing, computers/laptops, and computer software. Maximize your sales on these busy shopping days by making it easy for shoppers to find tax-free goods. Do this by tagging eligible items or by creating a sales tax holiday category to list tax-free products. If you collect taxes in participating states, be sure to understand state tax collection rules and adjust the tax collection function in your online store if you’re an ecommerce business. Since the actual holidays and the type of purchases that apply may vary for each state, check out this state map to find out what the rules are in your state. Instead of waiting until January to prepare for tax season, why not take the necessary steps to get organized now? If you currently use accounting software like QuickBooks, why not upgrade to the latest version? Both Xero and QuickBooks will offer their software at a discounted price around summer holidays like the 4th of July and Labor Day weekend. Be sure to check out our free course on how to set up your business using QuickBooks and how to set up your business using Xero course. These courses are absolutely free and you can complete them at your own pace. Make sure you keep your receipt; accounting software can be deducted as a business expense on your tax return! It might be back to school for your kids, but what about you?! If you decide to pursue a degree or certificate to help you better run your business, you may be eligible to offset up to $4,000 for tuition and other fees with an education tax credit or the tuition and fees deduction. You can find more info on how to qualify for education tax credits and deductions here. In addition to higher education, you can also deduct classes that you take to meet continuing education requirements to renew a license that you currently hold (e.g. CPAs and realtors). You can also deduct workshops or seminars that you may attend, such as business taxes 101 or how to write a business plan. The back-to-school season is a great time to market your business, increase revenue, and build loyalty among both customers and employees. You just need to plan ahead and think a little outside of the box to fully capitalize on the season. Don’t forget to think about ‘behind the scenes’ elements like your staffing, accounting, and tax needs. Lastly, make sure you time all of your promotional activities correctly as school starts at different times depending on the state and school district.